Cerniglia Chiropractic now offers massage therapy at our Scotia location 5 days a week! Please visit our 'Meet the Therapist' page under 'About us' to read about our wonderful therapist. 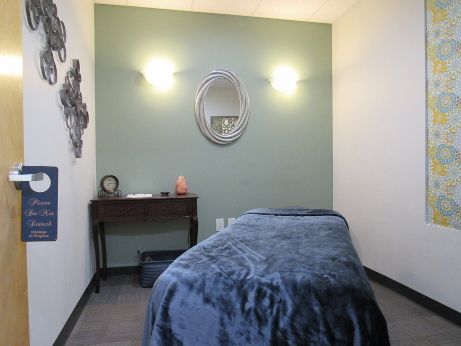 Massages are by appointment only and can be scheduled directly with the therapist. Information about the therapist including contact information, bios, schedules, and pricing can be found under the 'Meet the Therapist' tab. Massage and Chiropractic adjustment complement each other beautifully. Massage works to relax and stretch soft tissue, while Chiropractic adjustment works to bring joints into alignment. When muscles are relaxed, adjustments can be done more easily and completely. Adjustments may also last longer, as muscles are no longer working to pull joints out of alignment . The goal of both practices is to bring the body back into balance, reducing pain, and increasing circulation and range of motion. In addition to structural benefits, massage has been associated with many internal, mental and emotional health benefits. Improvements in blood pressure, stress level, digestion, anxiety, mood, and immune function are just a few benefits associated with massage. All this, and massage feels good! To accent your treatment with a massage, call Leslie at (518) 526-3583 to schedule.